I1287 1866 - 1952 (86 years) Submit Photo / Document Has 3 ancestors and 30 descendants in this family tree. [S257] Corash, Ida Death Certificate, (Commonwealth of Massachusetts, Division of Vital Statistics, Boston, MA, Filed 19 December 1952). 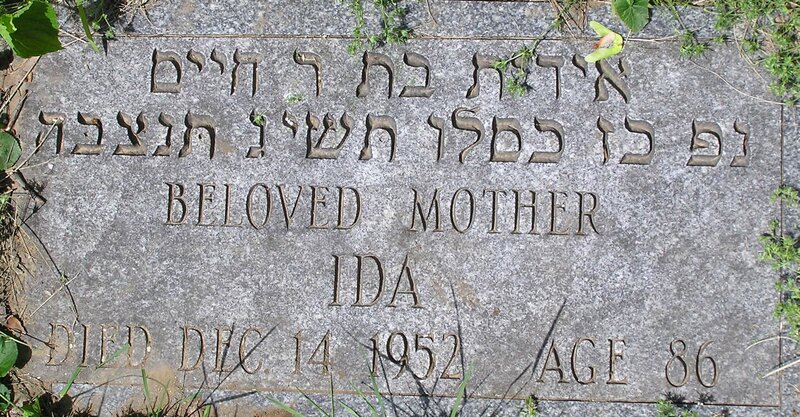 [S775] JewishGen Online Worldwide Burial Registry (JOWBR) (Reliability: 3). [S806] Find a Grave, (http://www.findagrave.com/) (Reliability: 2).